This wood-veneer stainless-steel flask will be exactly what you need for your favorite beverage. 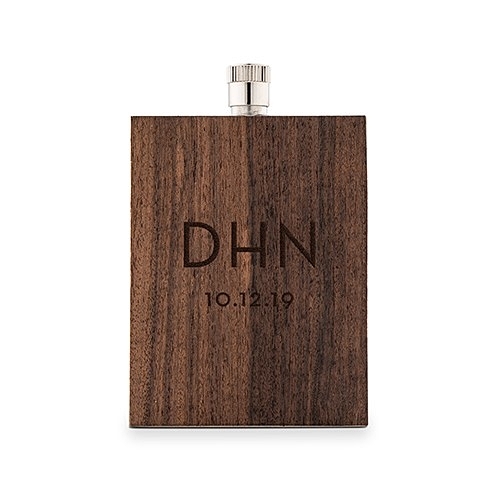 A sleek and rustic shape not only makes this personalized flask stylish, but practical as well. Flat and discrete, it will fit into your pocket or bag perfectly. With engraved rustic-look initials and a date to complete the look, this flask will be entirely your own.